I know they made some noise about respecting free choice and all that, but when Lex freaking Luthor runs for President, Superman should have immediately gone on the news and said "What I am about to say cannot be proven, but I do not trust Lex Luthor and believe he would be a terrible danger to this country. If ever my word and service to humanity have meant anything, then I ask you to trust me and not vote for him." It's difficult for me to imagine living in a world with a Superman, largely due to my decidedly pessimistic world view, but I imagine that if I did so, and managed to maintain my general view of the world -- difficult, like I said -- then I would be very uncomfortable if he did that, and I imagine that there would be a lot of people who would react in a very unfavorable way against Superman for doing so. I really do think it could do more harm than good. 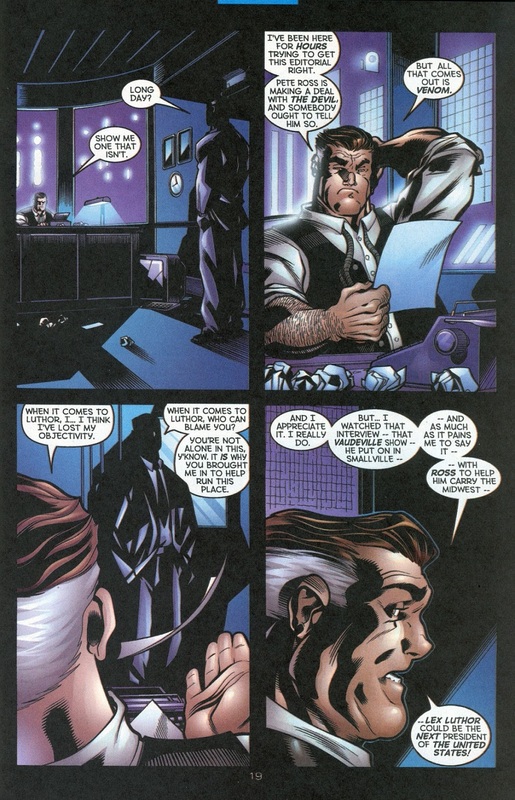 That was one of the reasons Clark didn't do it, to be honest, instead working within the system to reveal Lex's many crimes. And for a few years, until Status Quo kicked in, it did actually work. They sort of covered that situation in a not terribly good miniseries a few years ago about heroes deciding to endorse political candidates and the resulting problems, when the world of politics proves to be more complex than the average superhero normally deals with. It ends with Superman (I think) making a suitably stirring speech about heroes not endorsing politicians because politicans are elected into their positions, but superheroes are not so have an unfair amout of influence. He doesn't need to say the "cannot be proven" but, Superman is as entitled as anyone else to have an opinion and to give an interview or write a letter where he gives it. As long as he steers clear of specific allegations which need to be proven, then he is fine. That would be fine. IIRC, Bruce Wayne. He bought the Daily Planet. That's what I thought, but didn't see his name in the tags, so I wasn't sure. Wasn't the whole point of this Lex realizing "Hey, if I was President of the United States, Superman would HAVE to do what I told him to (within reason)!" 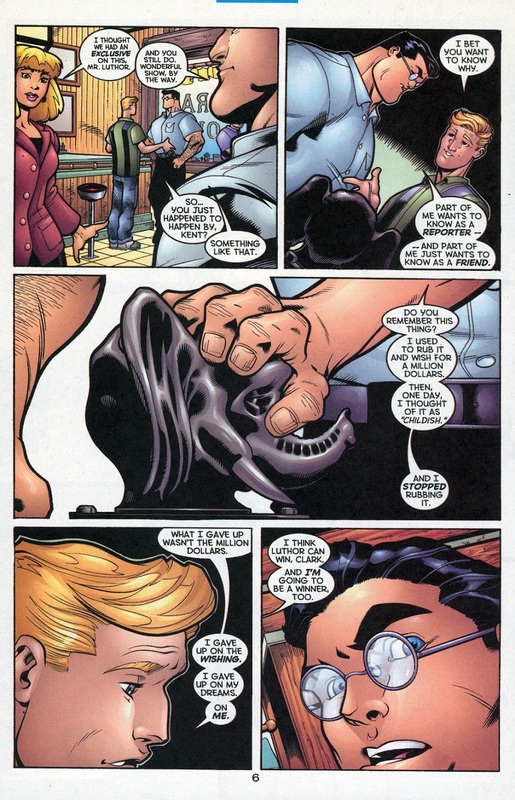 That was indeed the reason given by Lex in a Peter David story. He saw Superman appear with the then current President on TV and say "I will always be here if the President calls me" and couldn't resist. Well sometime pointing out that someone is making a deal with idevil and is making the dworst mistake of their lives, and that they actually are sevil and out and out nasty in a deliberate way, is an objective statement. The con that is pulled is that objectivity means saying something nice, even if you have to make that nice thing up or stretch the truth to do so. There is such a thing as false balance. And it nearly always benefits the nasty evil deliberately cruel guy. Don't reach for something nice to say in the name of balance, if it isn't right there already to hand then chances are that you are being conned into false balance. Perry should know that. It is the classic curse of the genuinely nice and the people who genuinely strive for the moral high ground, to always fall for it though. Many thanks to the OP for posting this. DC should really collect this entire run in a series of omnibi or something. Such a fantastic era of Superman... hands down my favourite... and the President Luther status quo was such good fodder for stories across the DCU. 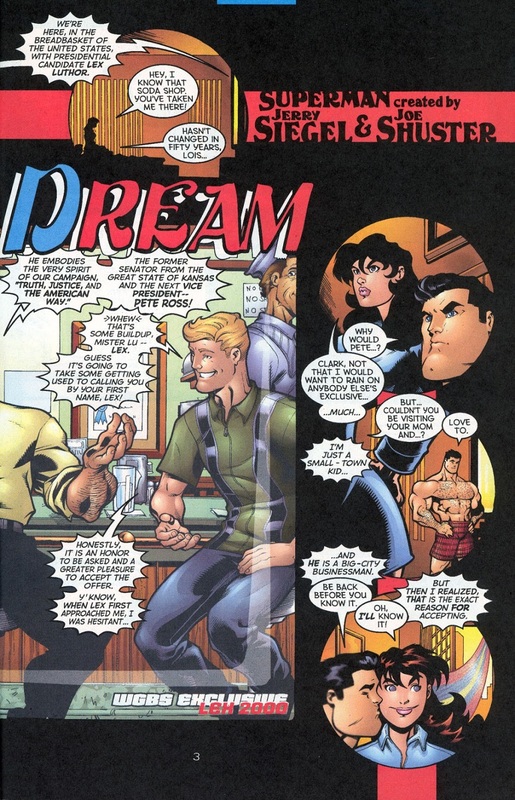 Also, the renewed emphasis on Clark and Lois as journalists, and the ups and downs of the job and the industry, thrill me no end (because I am a journalist, and Lois and Clark are two of the reasons I pursued my career).